I don't see any real hair growth but I do see that my scalp is less oily, I do not have as much hair fall as before and I also noticed a strand of white hair turn back to black at the roots. Mind you, I have not coloured my hair nor gone to Bee Choo for the past 2-3 months. The ladies at Trichokare have told me repeatedly that I need to do some sort of heavy duty hair treatment regularly. Especially since my hair loss is quite serious for my age. Reminder that they too said that any intensive hair loss treatment programme will only show results after 1 year. Results from the usage of minoxidil will only show 4-6 months after. If you would like to use Minoxidil as a treatment, please see a dermatologist first so that you can ascertain whether you are to go on a 3% or 5% treatment. For men, the default is 5%. Please be aware that Minoxidil works by helping the blood flow to the hair follicles and increasing follicular size and hair shaft diameter, stimulating and prolonging hair growth. It has been shown to help prevent further hair loss in 4 out of 5 men and help stimulate regrowth for a thicker, fuller head of hair.. Hence, if you are going to start using minoxidil, you will NOT be able to discontinue because once you stop, your follicles will immediate revert to what it used to be and cause a sudden huge hair loss. I will still go to Bee Choo once a month but as I've mentioned previously, I'll go there mainly to have a herbal and less harmful colouring of my grey hairs. I mentioned before that I'm also taking Biotin supplements and using the GNC Biotin shampoo. I must say that my nails are definitely stronger than before but as for my hair, I do think that there aren't so many hairs breaking due to brittleness or being extra fine. 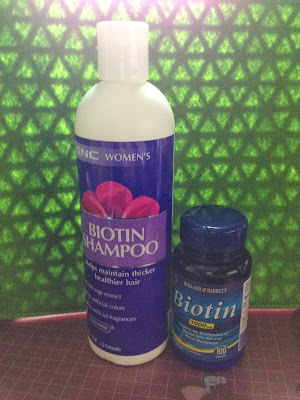 I guess it will work hand-in-hand with the minoxidil to have stronger hair strands growing. 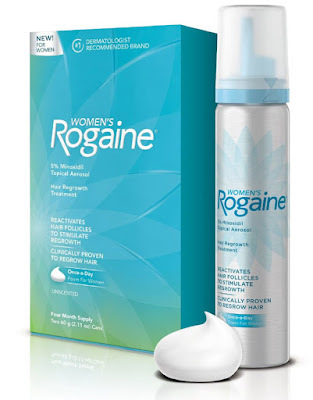 I really feel that when it comes to something as complex and problematic as hair loss, it really is a combination of what you eat, shampoo and use as a tonic which will help.